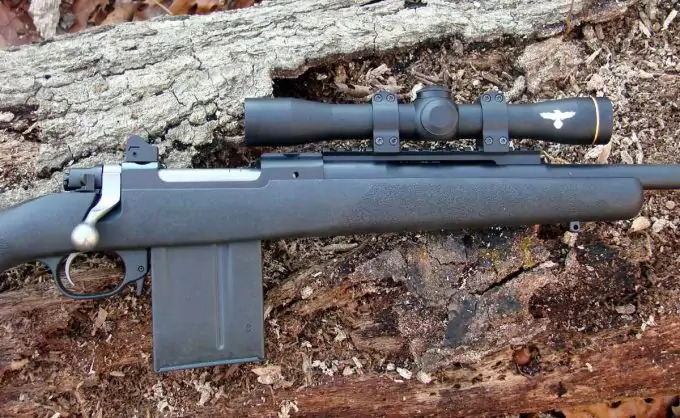 Would you agree that a 308 Winchester Rifle is actually a relatively popular one, and that it provides you with a decent amount of distance for your shot as well as accuracy and ease of use. 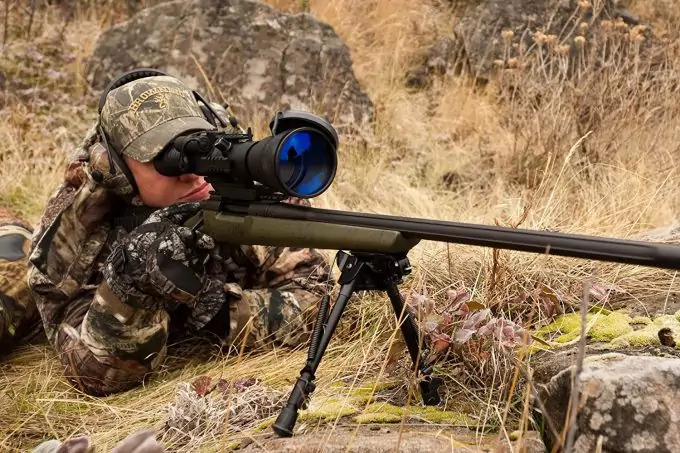 You will also have to agree that for those who like to hunt or even those who like to target shoot, having the best scopes for 308 rifle can help you with those plans. But of course, it’s not always as easy as you might think to find them. If you really want a good scope for your 308 it generally takes a whole lot of research and that takes a lot of time. But all you really want to do is get out there and shoot, right? So why would you want to spend all that time trying to figure out just what you need in a scope and picking it out yourself when we can help you out with this article here. We’ve found a number of great scopes that your rifle can definitely use and that you’ll most definitely want to try out for yourself. 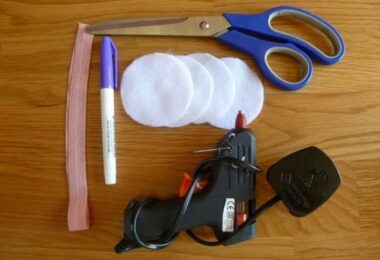 We’ve also done all the work of figuring out what should be the most important thing when you’re picking out that scope, so you shouldn’t have a problem getting ready for your next trip. You don’t want to skip out on any important features when you’re buying a scope. With so much out there that you should consider, it can be difficult to know exactly what you should be looking at, but take a look at these features to find out more. Your new scope needs to be the best thing for you, right? Your scope will come with some type of zoom capability, whether it’s 2x or 32x or anything in between, but finding the ideal zoom is going to be important. In most cases, anything that’s above a 10x zoom is just going to be overkill. You’ll end up with all kinds of other problems, especially with shorter shots, if your scope is designed to go up too high. Of course, you’ll want to take a look at your purpose with that scope. 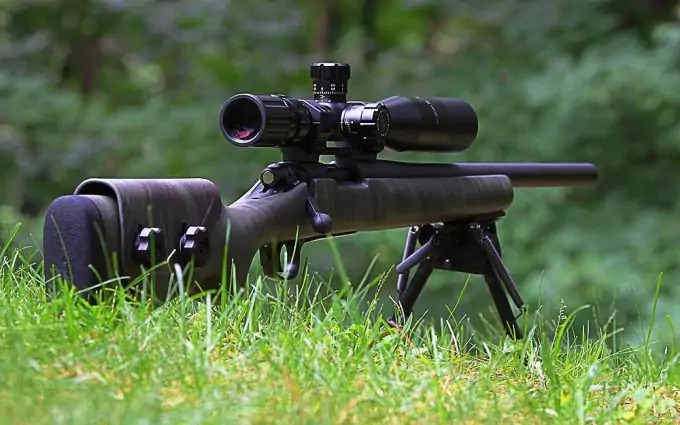 Someone hunting deer in the woods will want a scope up to 10x at the maximum while someone shooting targets at a range may want to test the limits and see just how far out there they can get. The best bet is to get a scope that has a range you can work with. Instead of just a 5x scope or a 10x scope, get one that gives you options. A lower magnification is going to give you faster speeds and better tracking, while higher magnification ones will give you better resolution, though at the cost of weight and cost. There are three primary types of reticles out there, including duplex, mil dot and BDC. A duplex reticle is one of the most common and features thin crosshairs at the center with wider strips as you get further out. This is the standard style of reticle that people think of when they think of a scope at all. A mil dot reticle is almost identical, except it has small dots on the thinner sections of the lens. These dots correspond to specific angles, but you have to know how large your target is so you can adjust based on elevation or wind. These are a little better for those who are going to be shooting from a bit further away. Finally, a BDC reticle shows you the lines for different distances so you can see where to aim in order to compensate for the drop. Every bullet will start to drop as it travels a long distance, and BDC reticles can help you to be prepared for that drop by showing you where to aim in order to still hit your target even from further out. Adjusting your scope is important so that you can easily get the right distance and visibility. 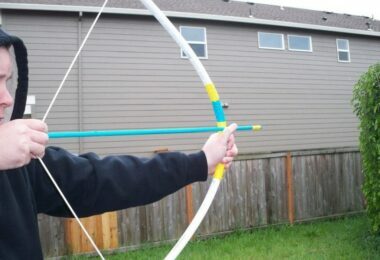 MOA is Minute of Angle and it shows you the distance in approximately 1 MOA to 1 inch at a distance of approximately 100 yards. With this method you’ll get very precise zeroing because you’re adjusting in smaller increments, but you’ll have a little more difficult when you’re adjusting other distances than 100 yards. When we come to MRAD, it means Milradian, which is about 3.6 inches per 100 yards. It can be actually be a little easier when you’re adjusting, however, because you can check the distance you are off and adjust the Milradian exactly at the same level. Exposed adjustment knobs can be a bit of an issue when you’re out hunting, however. The objective lens needs to be large enough to provide a high amount of ambient light and therefore give you a good focus on your image. A larger lens transmits more light and that means your image gets clearer, but you don’t want a lens that’s too large for your magnification as you’ll end up paying for something that you really don’t need. A 40mm objective lens is generally going to be a good option, unless you have a scope that zooms out further than 12x where you may find that a 50mm lens is a better option. Just remember that the larger your objective lens the higher it needs to go over the barrel and that means you may not get the right fit when you’re aiming your gun to shoot. The reticle in your scope actually goes in one of two places, either the first focal plane or the second focal plane. Most scopes are going to have the reticle in the second focal plane, where the magnification has no effect whatsoever on the reticle size. You get a consistent picture no matter the magnification. On the other hand, a first focal plane reticle adjusts the size of the reticle scale as you change your magnification. 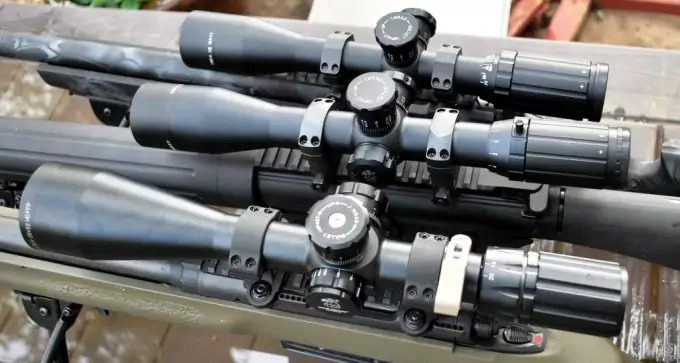 That makes your markings on the scope a little more accurate as you adjust, though It can be a little difficult with lower levels of magnification as it shrinks to a smaller size. The amount of weight you’re adding to your rifle is going to be extremely important as well. You don’t want it to be too heavy, after all, but you want to make sure you’re getting a good scope that will provide you with the quality you need. So how do you make sure that you balance these two things? Look at all of the other features first. Choose a gun that has the focal plane, reticle, magnification, etc. that you really want and then go from there choosing a gun that is lower in weight than others. 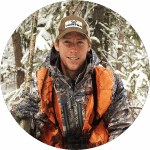 It’s definitely going to be an important aspect and it’s going to help you enjoy your hunting experience a whole lot more. You’ll also be able to go with unsupported shooting with a lighter weight scope. A good rifle scope needs to have all of these features, so that you can get a great experience and so you can really get what you’re aiming at. Whether you’re out hunting or you’re out shooting targets, you are going to want one of these options, so take a good look. Overall, the Nikon M-308 SF Riflescope is a great option for any rifle as it offers a good range in the way of magnification (going from 4x-16x) and doing so with a moderate price tag. 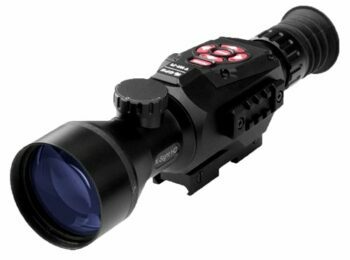 This is definitely a scope that most could afford and it has a lot of features for that price including the multi-coated optical lens and the waterproof, fogproof and shockproof capabilities. The Nikoplex reticle makes it easy to sight in and use whenever you want and the fact that it has ¼ inches MOA adjustment and a fast zero reset makes it easy to adjust. 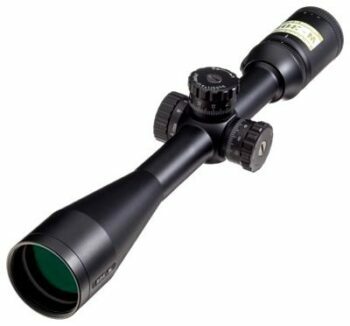 You can use this scope just about anywhere, as the magnification capabilities work well for shorter, or longer range targets. It also has 4 inches of eye relief, making it easier to use without injury while also providing a durable unit, made from 1 piece for the main body tube, it’s definitely designed to stand up to just about anything you throw at it. Related: In order to really get anything out of your riflescope you’re going to need rings to attach it and the Nikon M-308 Mount is designed to offer just that. For just a bit extra you get a mount made specifically for this scope, which is actually a one piece, easy to install piece that’s made with a lightweight alloy and uses a Picatinny rail mount. The UTG Compact Scope is inexpensive, which makes it a great choice for those who don’t have a lot of extra wiggle room in the budget. It’s actually a tactical range scope that uses a mil dot reticle to improve the overall sighting in of the scope. Not only that, but it is shockproof, fogproof and rainproof, ensuring you’ll have a high quality tool no matter what happens to it or where you go for your next hunting trip. The emerald coated lenses and integrated sunshade protect the lens and make sure you have a good, clear line of sight and the flip open lens cap means you don’t have to find a place to store it. Even under heavy recoil you get constant illumination and premium zero locking and resetting. There’s also a lifetime warranty included with this scope so you know you can rely on it. Related: The side wheel, adjustable turret on this scope, allows for an optional Bid Wheel to make sure you get the best possible adjustment, with more precision to go along with it. The UTG Add-On Index Wheel is inexpensive, but provides all of that and more. 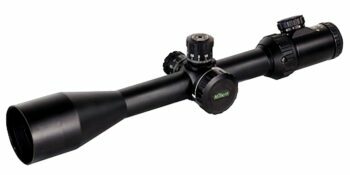 The Nikon Prostaff Riflescope is a very inexpensive scope that will still provide you with a lot of the features that you’re looking for. It’s not designed to be top of the line, but for many people that’s exactly what they are hoping for and it provides for that easily. 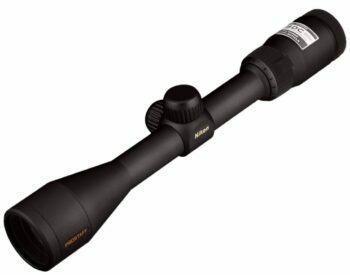 It does have the ability to magnify up to 9x, which is enough for just about any hunter and any distance and it offers a 40 mm objective lens. Waterproof and fogproof, you shouldn’t have any problems using this lens in less than ideal conditions and you can easily cover the lenses with the included caps when you’re not using it. 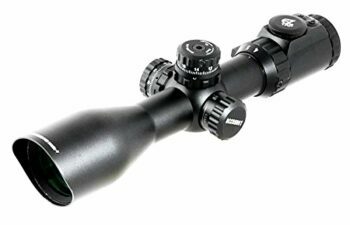 Made with aluminum for durability and rust resistance and a BDC reticle so you can always check your drop distance, this scope is great for a buyer on a budget. With this you get a multi coated optical system that gives you up to 98% of the available light and also has a 3.6 inches eye relief. It can complete a zero reset quickly and easily and has spring-loaded adjustment knobs to make it even simpler to adjust. Related: These Accushot UTG High Profile Rings are designed to work with Picatinny or Weaver attachment. They are inexpensive and make it super simple and quick to get this scope attached to your rifle. Not only that but they are made with aircraft grade aluminum alloy to ensure longevity and quality. The Burris Eliminator III Riflescope is more expensive than many others, but it does offer a lot for that cost. It’s capable of sighting in over 1,200 yards and it can be parallax adjusted over 50 yards, up to… well whatever you want. It has a solid and firm dot that’s easy to see even in the brightest of light and still doesn’t blind you when shooting in low lighting. If you have difficulty seeing in bright light anyway, that’s fine because it even has a sun shade to keep the screen protected. Very easy to set up and extremely accurate at just about any range, this scope is great for a number of different types of guns besides just the 308. Lightweight and stylish, but still capable of performing some pretty mean feats, this scope has precise trajectory compensation and can help you take down whatever you want no matter what the lighting conditions may be. Related: Keeping your scope protected is always important and this Burris Waterproof Scope Cover is going to help you do just that. It’s inexpensive and easy to slide over the scope when you’re done using it so you can keep it protected and safe from fogging and water. The ATN X-Sight II Smart Riflescope is actually a very unique tool that you won’t find anywhere else. It’s not only a high quality scope with up to 20x magnification, but also a high tech streaming and internet connected tool. You can connect to Wi-Fi directly from this scope and use it for streaming as well as uploading to a gallery. When you’re sharing information you can even use GPS for geotagging and elevation among other things and you can control the entire unit directly from your smartphone so it’s easier to use. It includes ATN smart shooting and a smart rangefinder to make sure you hit exactly where you want, every time. Not only that, but it has a night mode to keep you going even as it starts to get dark. Record videos, choose from multiple reticle options (7 to be precise) and pick your favorite color to use it as well. This scope offers a whole lot more than you would ever expect from a standard riflescope and ensures you’re ready for hunting no matter what. 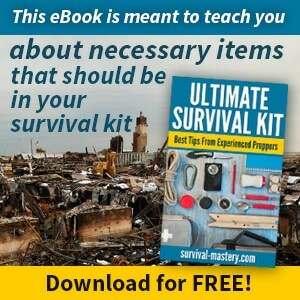 Related: Paying for new batteries all the time can be a pain, as can carrying a lot of extras so you’re always prepared. The ATN Power Weapon Kit is priced moderately and makes it a whole lot easier for you to keep using your scope for a longer period of time. It’s also easy to charge and comes with its own pouch to be easier for carrying. The Primary Arms FFP Riflescope uses the first focal plane versus the more common second focal plane. It can provide magnification up to 14x as well, ensuring you have a high quality tool for your longer distance shots. Not only that, but it provides six different brightness settings that ensure you can see in bright conditions or low light conditions with ease. 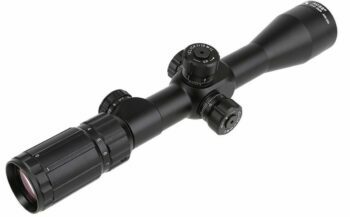 This scope comes with a three year warranty and provides you with easy adjustment and side mounted parallax without having to go through the data book or work out math equations in order to get what you’re looking for. Completely shockproof, waterproof and fog resistant, the scope itself is ready for just about anything and can survive just fine in the woods with you. Related: A good cover is important on any scope and the Butler Creek Flip-Open Scope is an inexpensive addition to this one. It fits right on the end to keep the glass protected when you’re not using it or when you’re traveling and flips open easily so you can take the shot. The Leupold Mark AR Riflescope is definitely a capable tool for anyone looking to head out hunting. It has magnification capabilities between 3x and 9x, so you can get a good shot at just about anything. Not only that but it uses a mil dot reticle with both horizontal and vertical scadia. With a multicoat lens you get plenty of light in while you’re sighting in. 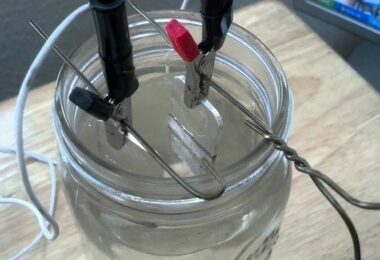 The waterproofing is actually a 2nd generation argon/krypton, which makes sure you’re not going to get any kind of water into the scope itself. The 1 inch main tube is also just the right size for you to see what you need, but not so much that it lets a lot of brightness in to distort your image. Designed to promote accurate and high quality shots, this riflescope is definitely a great choice. Related: The Leupold Alumina Lens Cover Kit comes with exactly what you need to cover each scope you have and to make sure that they are securely closed and protected from any elements. Machined out of aluminum, these are definitely high quality tools you’ll appreciate for your hunting trip. 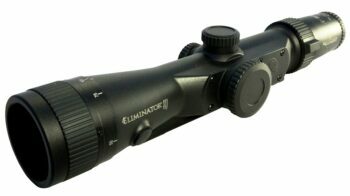 The Millett Illuminated Tactical Riflescope provides adjustment of 0.1mil and has a fully illuminated mil dot reticle. The 50 mm objective diameter works well with the 4x-16x magnification capability of the scope to provide you with just the right amount of lighting and clarity to your shot. No matter what the lighting conditions in the area you’re hunting you’ll be able to see through this scope and you can get complete accuracy at the same time. 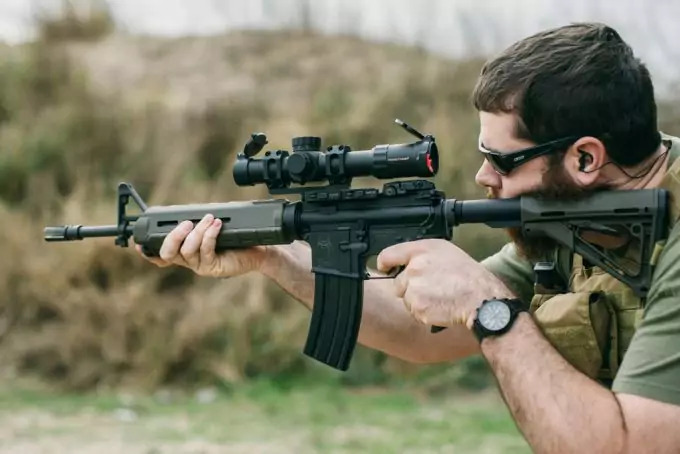 The multicoated optics are designed to provide a completely clear image and with the 3.5 inches eye relief you should be able to comfortably hold it right where you need to see perfectly. 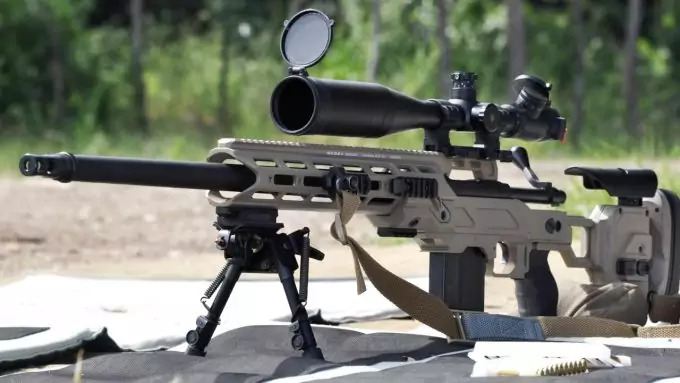 However, due to the size of the lens, this rather good riflescope, is not designed to be used for hitting targets in shorter range, but for moderate to long range targets. Meaning, if you come across a game that is simply to close to you, you will have a hard time hitting it by looking through this scope. Related: These Weaver 30mm Rings will help you get this particular riflescope attached to your gun in no time. With a moderate price tag you can pick them up at the same time and have exactly what you’re looking for, especially with the aircraft grade aluminum material. 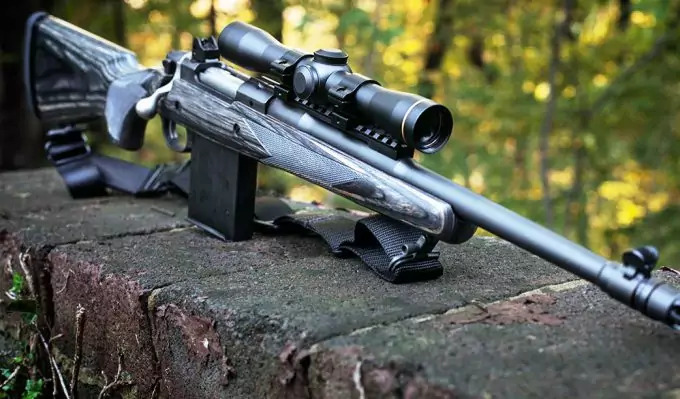 No matter which of these rifle scopes you decide to go with, or even if you decide to go with something else entirely, you’ll want to take a look. They each have some great features and they’ll help you understand what you really should be looking for. Not to mention you’ll be able to get those great shots in, when you go out hunting or to the range the next time. So what do you think? 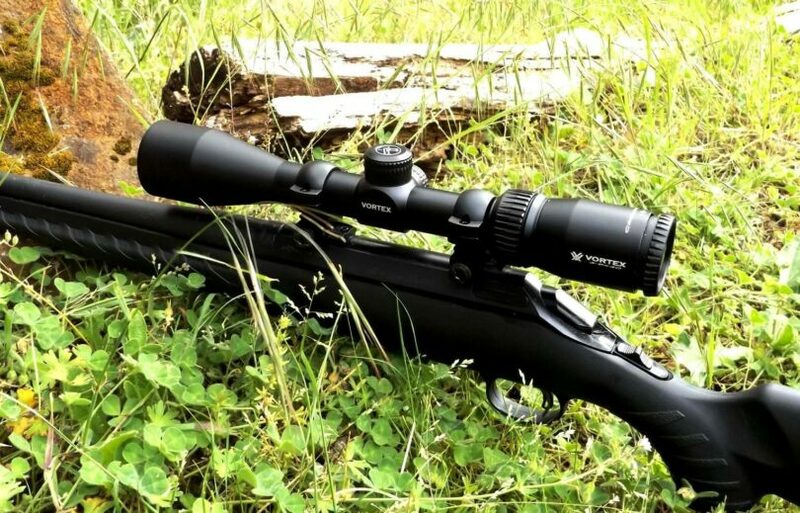 Are any of these scopes the perfect one for your 308 rifle? Do you think there’s another important feature we should be considering? Or maybe you have a different scope that you think is the best? We definitely want to hear all about it so make sure you let us know.